The Boye Bloom Loom was designed specifically for making double sided flowers but you can also make them on any loom that has posts. 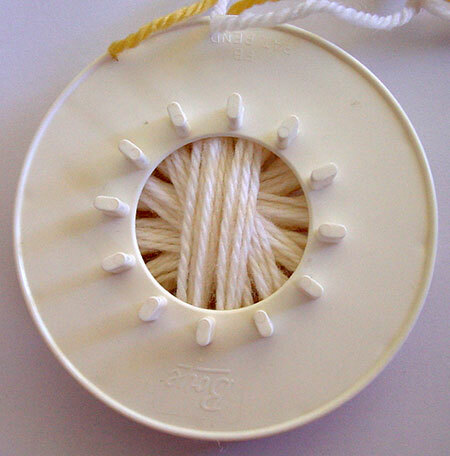 You will need to know how to wind your loom and work a back stitch centre. I’m using a vintage Bloom Loom for my sample but you can still buy them quite inexpensively. Modern Bloom Looms are exactly the same except they are blue. 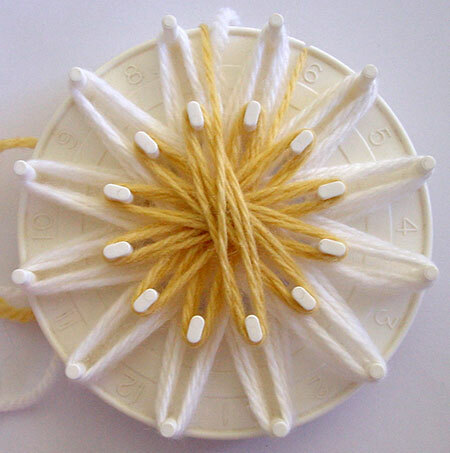 Start on the front of your loom and wind a large flower with five rounds. 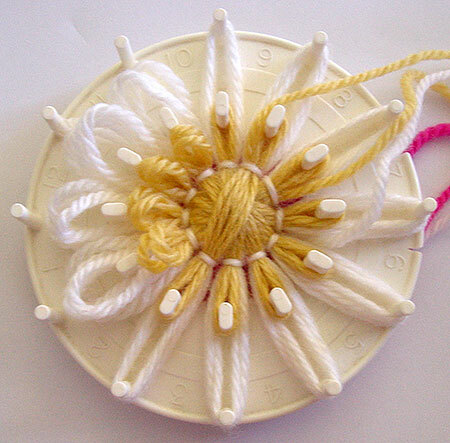 If you want to stitch your flower with the same colour as your large flower, cut the yarn leaving at least 24″ or 60cm of yarn for stitching. 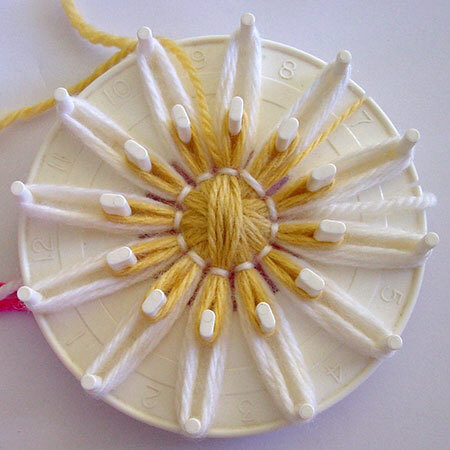 Next, wind a small flower with two rounds. 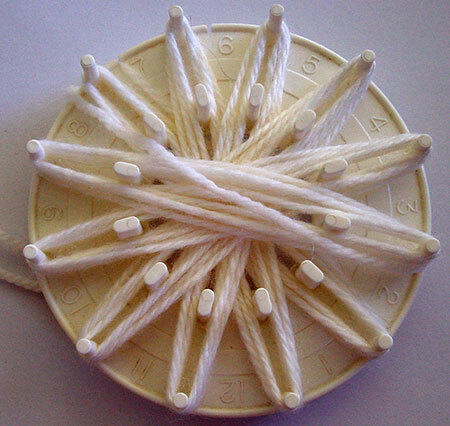 Turn your loom over. 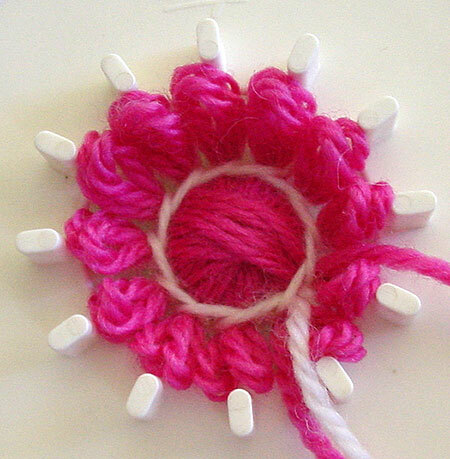 You will see another set of posts for making a small flower. Wind a small flower with two rounds on these posts. Turn your loom over again and work a back stitch centre through all three layers. If you look at the back you will see your stitching looks like you worked a stem stitch centre. The top stitch is not quite finished. Put your needle under the next stitch and pull through to complete it. To remove your flower from the loom, first pop the back flower off. Then the front ones. 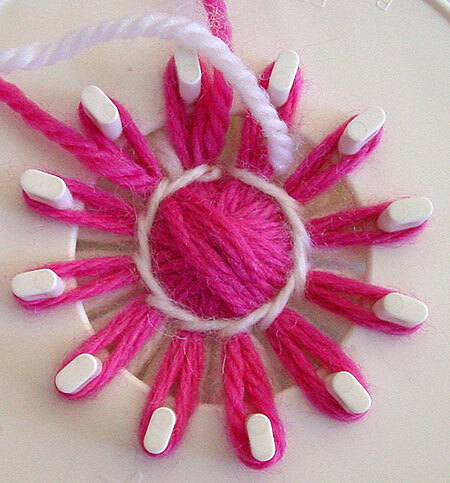 The flower at the back will pull through the hole in the centre of the loom. 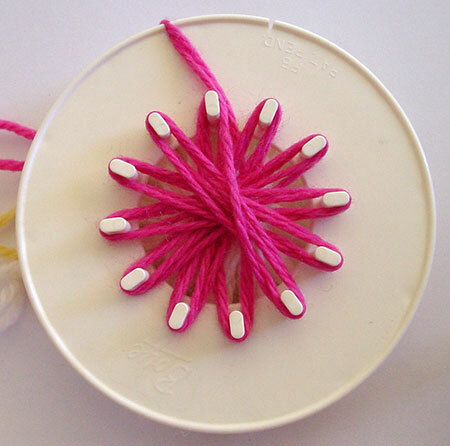 Hide the ends of your yarn by stitching them behind the small flowers. 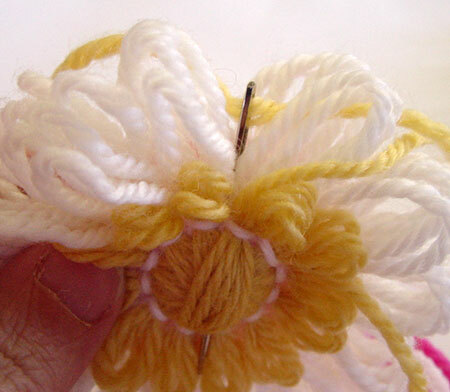 You can make a couple of stitches from one edge of the small flower to the other to fasten it off securely. Work any edging of your choice. Each petal on your large flower has five loops. 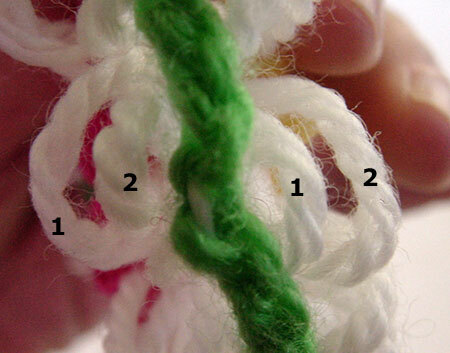 Work your edging so that you have two loops on either side. For my sample I have worked chain stitches and joined to the petals with a slip stitch. 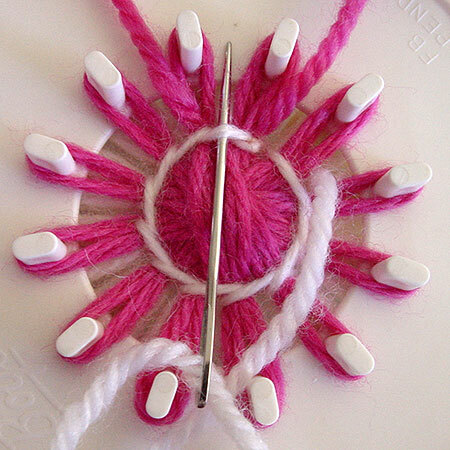 Your finished flower will have two complete layers on each side. This picture shows both sides of the same flower. Copyright Sarah Bradberry, March 4th 2011. All rights reserved.